Public Art (Now): Out of Time, Out of Place is the first survey of progressive public art from around the world. It presents some of the most significant artworks in the public realm from the last decade, challenging preconceptions about where, when and how public art takes place. The face of public art is changing. For decades, art in the public realm has been characterized by the landmark sculpture or spectacular outdoor event that helps to define or brand a place. But in recent years, a new wave of international artists and producers has rejected the monumental scale and mass appeal of such artworks. Instead, these individuals and groups favour unconventional forms that unsettle rather than authenticate a place’s identity; disrupt rather than embellish a particular location; and contest rather than validate the design and function of public space. Performed interactions, collaborative social movements and small-scale subversive acts are just some of the unorthodox approaches taken by these artists. Their works challenge preconceived ideas about the role of art in place-making as they seek to remake places through radical forms and practices. 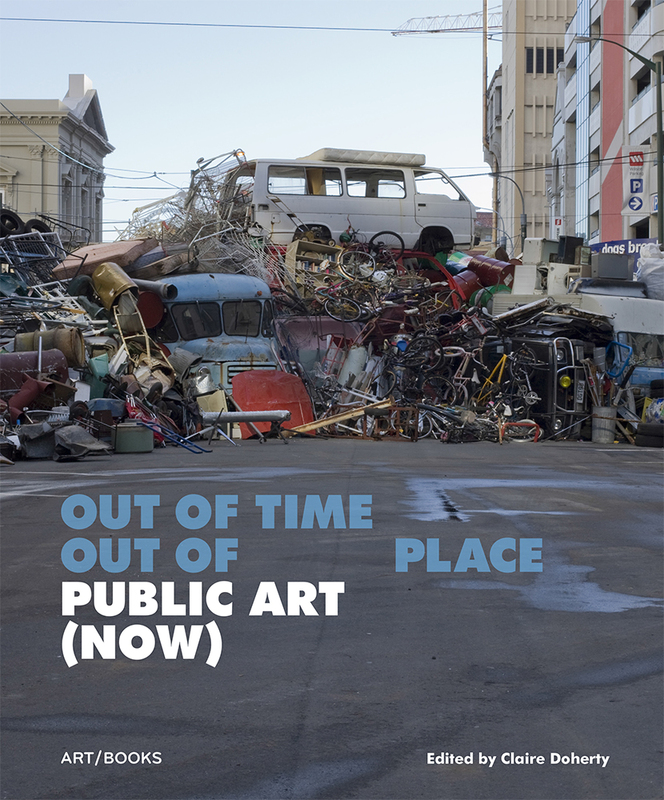 Public Art (Now): Out of Time, Out of Place presents the artists who have been redefining the practice of public art over the past decade. They directly address the most pressing issues of our time, including the encroachment of corporate concerns on public space, the implications of global migration and the isolation of the individual, and the potential of collective action to share the future of our towns and cities. Some forty key works from around the world are organized into five sections – ‘Displacement’, ‘Intervention’, ‘Disorientation’, ‘Occupation’ and ‘Perpetuation’ – with detailed descriptions and dozens of installation and process shots. Interviews and quotes from practitioners, commissioners and commentators reveal the impetus and context for the projects, while the editor’s introduction sets out the conceptual, practical and ethical issues raised by the works. Bringing together the most significant artworks in the public realm of the last ten years – from ephemeral interventions to long-term ongoing projects – this dynamic survey is an essential reference for anyone interested in the ideas, issues and impulses behind progressive public art, and an accessible introduction to one of the most vibrant areas of contemporary art.